AEW: You have been a part of “The King And I” three times now, what makes this show worth coming back to so many times? Jason :First, I must say that am honored to be playing the romantic role of Lun Tha at this wonderful theatre which gave me my start in my professional acting career. I have previously performed with ZACH in their 2001 -2002 productions of Evita andHair. Shortly after, I left to embark in a 11 year journey in New York City in which I continued to pursue my dreams. I have recently moved back to Austin and I am honored to reprise this role at ZACH. As this is my third time playing Lun Tha, I keep returning to this production because of the glorious music and multi-layered narrative of this musical. The music and lyrics of Rodgers and Hammerstein are a classic in the repertoire of American musical theatre. To sing two of the most reputable romantic duets every night is an honor and privilege. I am also very lucky to perform opposite of the talented and beautiful Yoonjeong Seong, who plays the role of Tuptim. AEW: How does being a part of the Zach production differ from being a part of other productions of “The King And I” you have been a part of in the past? 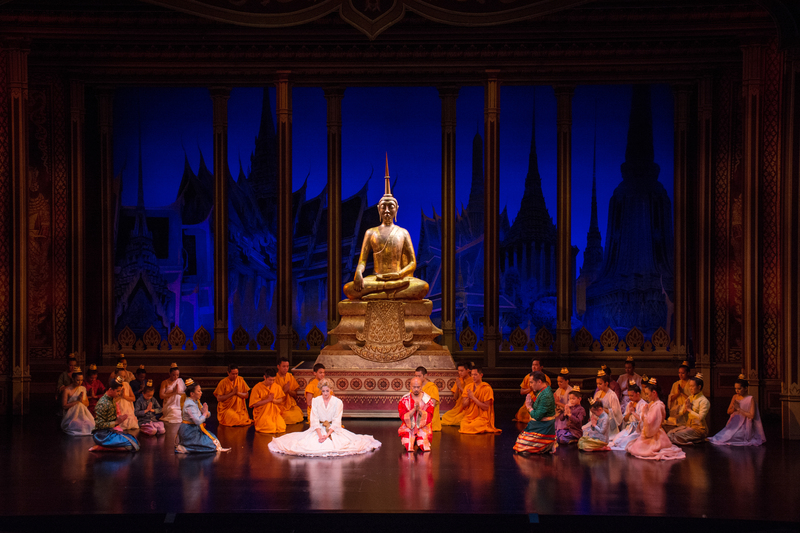 Jason: I have been part of 2 major productions of The King and I and in all honesty, this production stands out in terms of the beautiful costumes, lavish sets, and most of all, the diverse talent that is shown onstage and behind the scenes with the creative team . Additionally, this is my first production in which I have shared the stage with an all Asian-American cast. ZACH has stayed honest and authentic with the story and this is reflected in this +50 performers in this cast. AEW: “The King And I” is probably one of the most recognized shows that features a large opportunity for casting Asian actors, what are some other shows you have been a part of that helped to celebrate the culture and people of Asia or Asian decent? Jason: I have had the great honor of being a part of many major productions of Miss Saigon. In addition to the North American Tour of Miss Saigon directed by Broadway’s Mitchell Lemsky, I have participated in 4 other productions of this show. The triple-Tony Award winning musical, based on Giacomo Puccini’s opera “Madame Butterfly,” with its setting adapted to Saigon during the Vietnam War will forever resonate with past and future generations to come. It is a classic love story. AEW: You are quite a multifaceted personality, you are an actor, singer, digital marketer and social media guru, what of these many talents is your greatest passion? Jason: First and foremost, I consider myself an artist. I am blessed that I can tap into this creative persona in everything I do….from being a performer onstage to being the Associate Vice President of Digital Marketing at Calendar Holdings LLC. Ha Ha, I love to wear several hats. Plus I must admit that I am flattered that you called me a social media guru. Since you mentioned this, here is a shameless plug of my Instagram profile: @jyau1. AEW: What has been your most rewarding role in your theatre career? Jason: This is a very tough question and it is only fair that I give you 2 answers. First, I loved every second of being part of the ‘Tribe’ at ZACH’s production of Hair. I learned alot about myself in this role and having shared that vulnerability in every scene with that amazing cast, I will forever be grateful for that production and ZACH theatre. Secondly, I must give praise to the company of the North American Tour of Miss Saigon. Ever since I started my professional career in theatre, I always longed to be part of Miss Saigon. To have the opportunity travel all over the United States and Canada in the last leg of the official North American Tour, my life was forever changed and I will alway cherish those memories. AEW: What advice would you give to young performers hoping to make a living as an actor? Jason: Stick to your principles, Always put in hard work and Never compromise your dreams. Constantly meditate and pray, because a grounded actor is a working actor. What a great show! The setting was beautiful and a talented cast. I highly recommend seeing the show! !